The French government’s plans to launch a €10 billion ($13.8 billion) tender for offshore wind developments signals a shift away from solar energy toward large-scale wind projects. However, questions remain over financing and profitability. 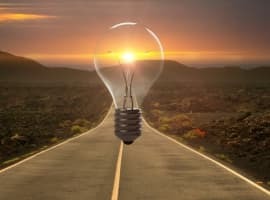 Régis Oreal, a finance partner with law firm Herbert Smith in Paris, says the scale of the wind tender and the recent roll-back of support for solar photovoltaic (PV) installations indicates the government is looking at large-scale wind farms rather than solar projects to meet its renewable targets. The French solar market was taken by surprise in December when the government announced plans to impose a three-month moratorium on awarding feed-in tariffs for some new solar PV installations, in order to restrain industry growth. While France’s solar and onshore wind industry centres predominantly around smaller scale projects, Oreal says the offshore tender – which aims to fund the construction of 600 turbines totalling 3GW of capacity off France’s Atlantic and English Channel coastlines – indicates a move toward large-scale renewable power generation. 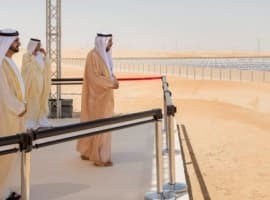 “The feeling we get is that the government wants to replace the very fast developing solar industry,” he said, adding that the government may consider a few large-scale projects “easier to control” than a string of smaller solar and onshore wind installations. Given the considerable value of the tender, Oreal said it will likely attract syndicates of sponsors, arranged through the major French banks. However, that financing will be a challenge, he added. “It’s not that easy in the market at the moment, so this may raise questions,” he said. 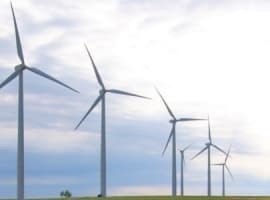 Lawyers at Cameron McKenna said France lags behind the rest of Europe on offshore wind development “and these ambitious plans will help France to catch up with European leaders such as Germany and the UK”. Bidders submitting to the tender must propose a rate at which the electricity generated can be purchased by utility EDF. However Cameron McKenna says that some investors say purchase rates – currently fixed at €130 per megawatt hour (MWh) for the first 10 years and between €30 and €130/MWh for the following decade – are “too low to ensure profitability”. “The scale of this opportunity is bound to attract the heavy-weights of the European renewables market, as well as increasing the involvement of French industry in the sector. It will be important for these investors to ensure that they are armed with the necessary local knowledge to give their bids the best chance of success,” the law firm said. 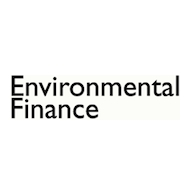 Arnaud Bouillé, a UK-based director in consultancy Ernst & Young’s renewable energy group, welcomed news of the tender but expressed disappointment in the scale of the development. He said France’s 3GW offshore wind ambition is “very much small fry”, particularly compared with larger-scale wind developments in countries such as the UK and Germany. The tender was originally due to launch in September but the consultation process saw it pushed back to May. Project commissioning is scheduled from 2015. France hopes to source 23% of its electricity from renewable sources by 2020.